I feel like I cheated when I made this dish. It was so easy and yet felt so festive, what with the duck, the multiple plates and of course the wrapping up of the pseudo mandarin pancakes. Here’s one secret: I pre-made the pancakes, so all I had to do was pull them out of the freezer and defrost them. 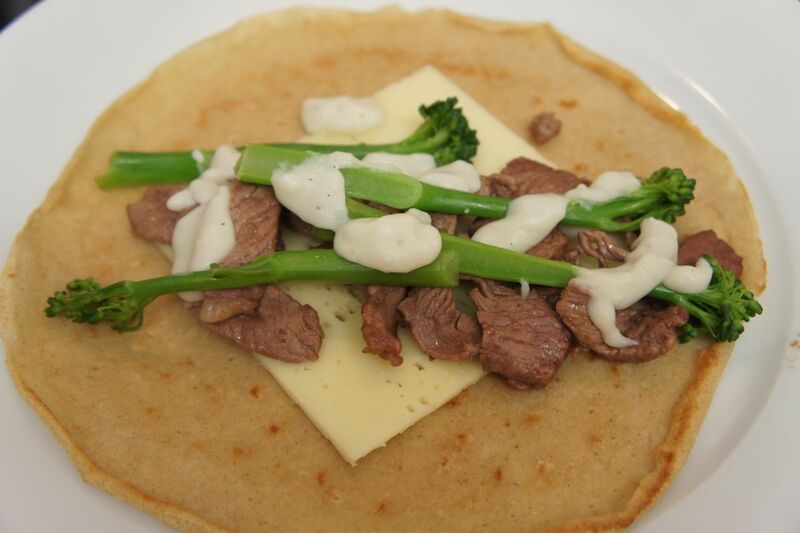 Here’s another: they were actually just general-purpose gluten-free savoury crepes. There are recipes for more authentic-tasting gluten-free mandarin pancakes out there (The Gluten-Free Asian Kitchen cookbook has one) but crepes work wonderfully and I don’t think anyone noticed the difference. One last secret: I didn’t roast a whole duck. I bought duck legs only and roasted those. It was plenty for this dish and so much faster and easier to make than a whole greasy bird. So yeah. 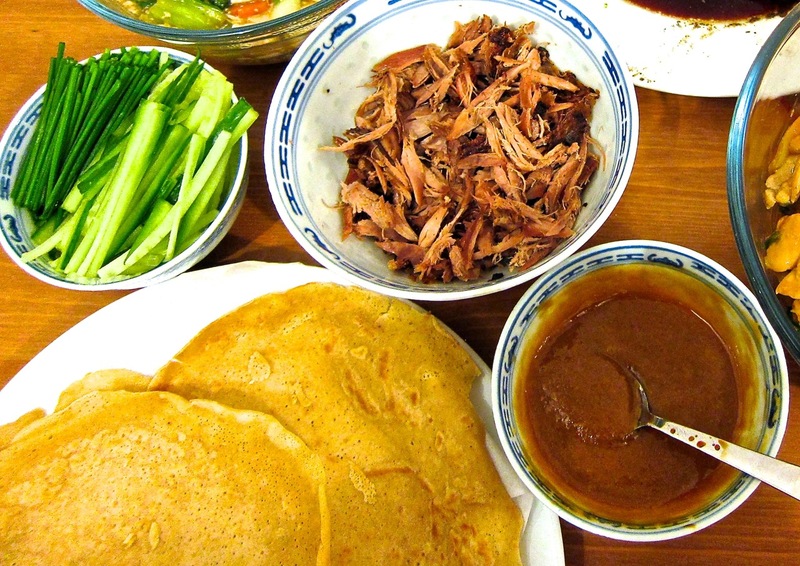 Here’s my recipe for a lazy cook’s mu shu duck.